Cockapoos are a mix between a poodle and a Cocker Spaniel. 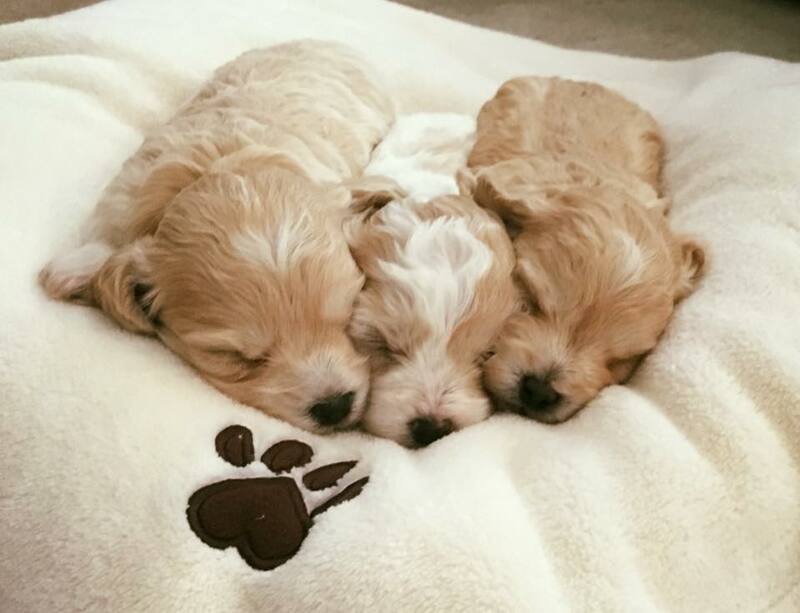 Cockapoo puppies are friendly, happy, and the constant companion of their family members. 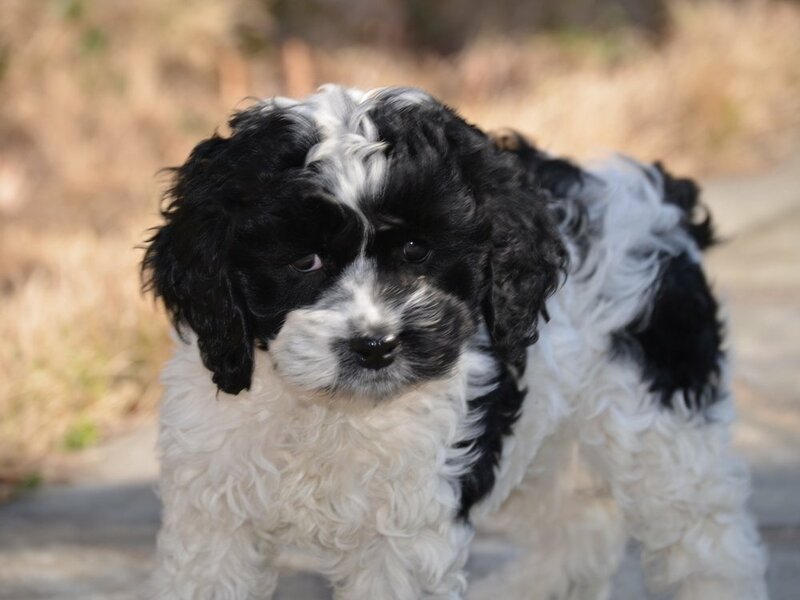 Cockapoos (aka Cockadoodles) are a mix of a mini Poodle and a Cocker Spaniel. Mini Cockapoos cross a toy Poodle with a small Cocker Spaniel, or another Cockapoo. 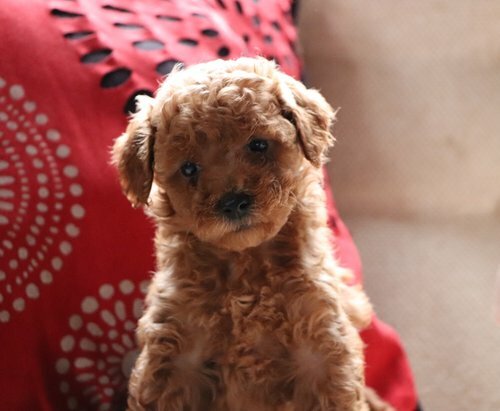 A toy/mini Poodle crossed with a Cockapoo produces a f1b Cockapoo. Cockapoos are friendly, happy, and the constant companion of their family members. 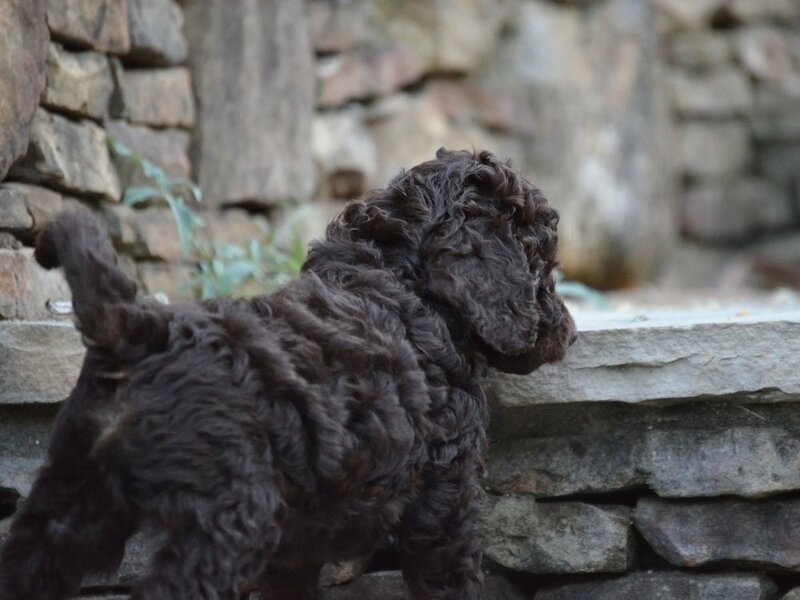 Cockapoos were the original “doodle”— the very first AKC dog breed to be intentionally crossed with a Poodle. Cockapoos have had enduring charm because of their health, great looks, low to non-shedding coats, and sweet personalities. 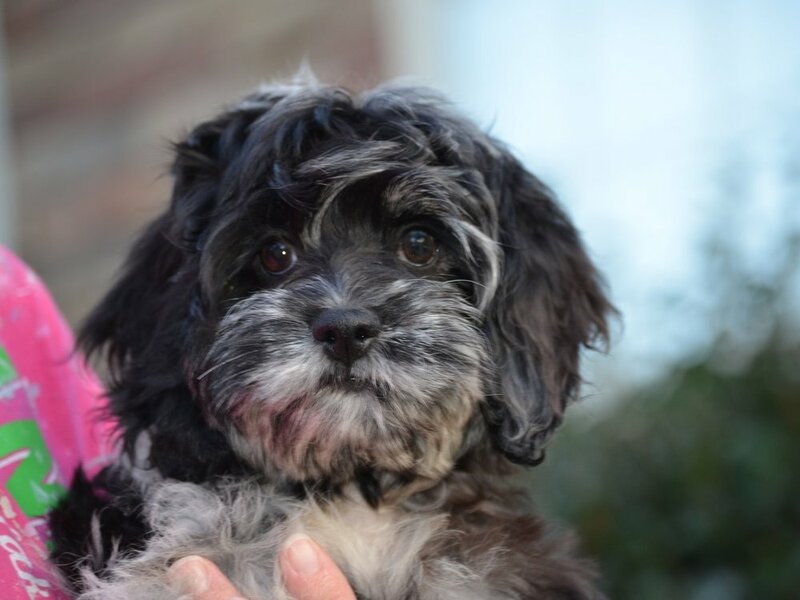 Cockapoo and mini Cockapoo puppies tend to be on both sides of the active spectrum: highly social and playful at times, but also easily transitions into a cuddly couch friend. SEE WHAT IS AVAILABLE NOW ! These litters were recently announced to families on our deposit list but there are still a few openings! Please email us at Nathan@crockettdoodles.com if you are interested in learning more about these available puppies! 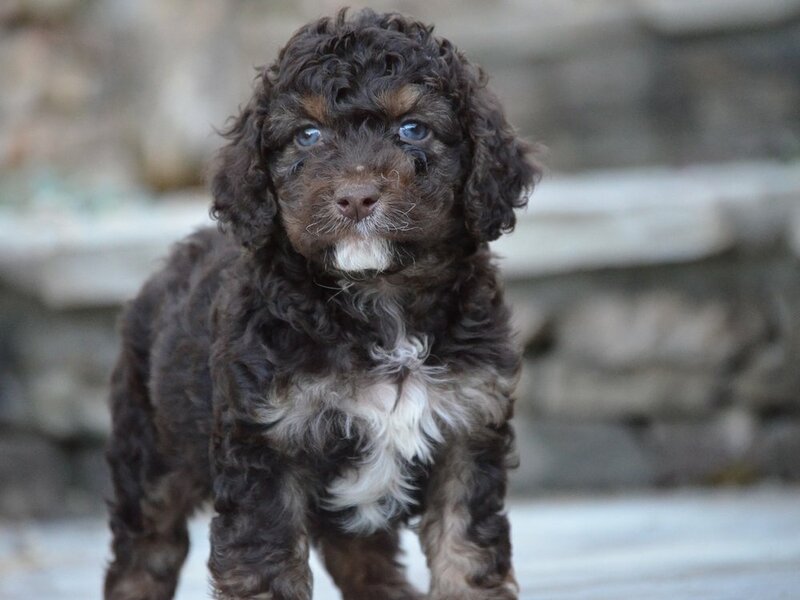 Cockapoo and mini Cockapoo puppy colors include solids, partis, phantom, and merles. 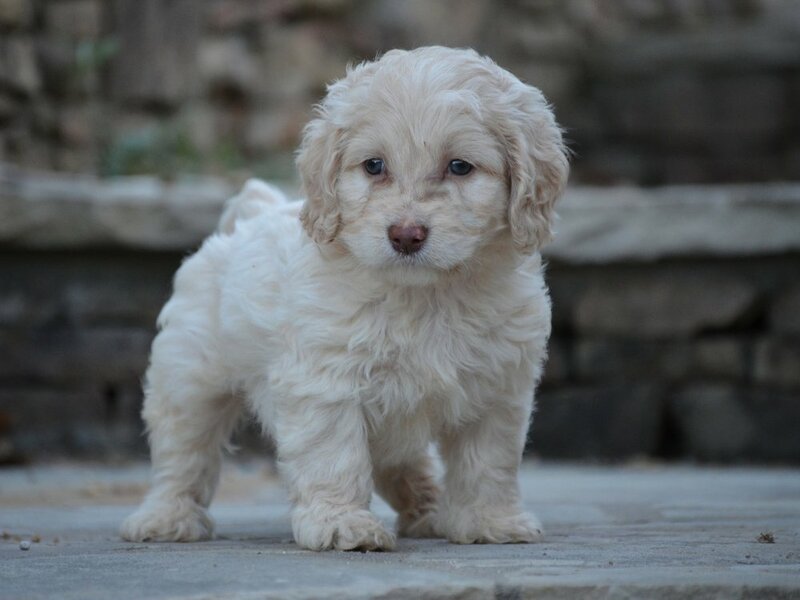 In addition to red Cockapoos (pictured above); we've listed some other Cockapoo colors below. WANT TO FIND OUT MORE ABOUT COCKAPOOS? 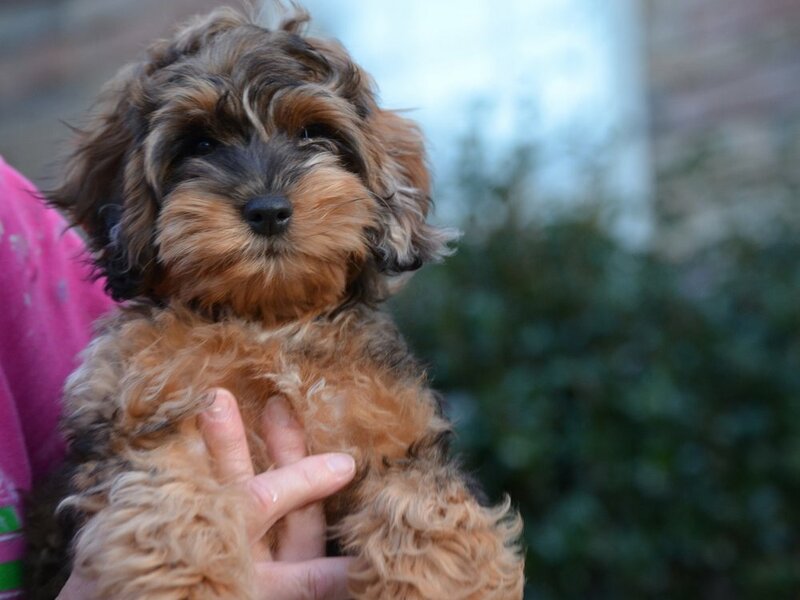 Apply today for a chance to be selected for a future puppy from Crockett Doodles!